More than two-thirds of plants worldwide are designed using Intergraph software. Technology is vital to companies in the power, process and marine industries, and Intergraph’s solutions provide designers with the tools they need to improve engineering efficiency and productivity. They gain dramatically more control over valuable information assets needed to comply with any federal regulations and environmental requirements, and eliminate plant shutdowns. 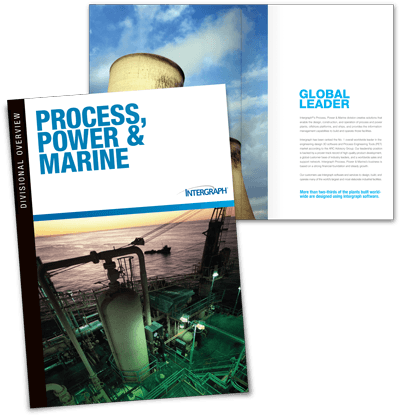 Thomas's PPM Intergraph Library allows manufacturers to fully understand how to meet supplier requirements the power, process and marine industries. Simply fill out the form at the right to access the free library.